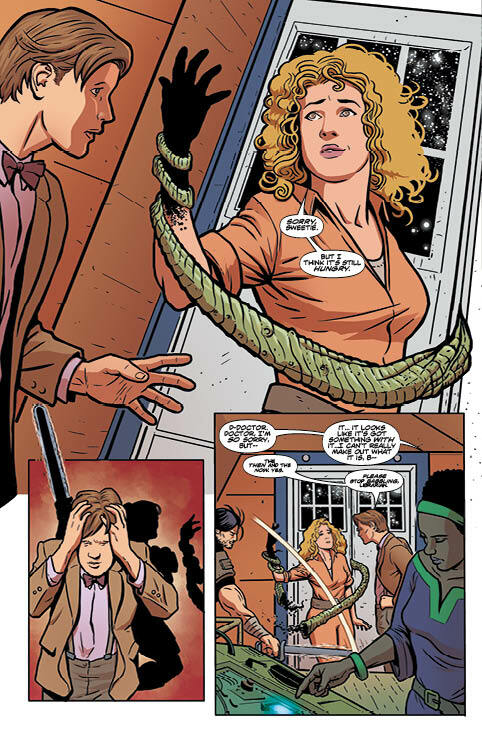 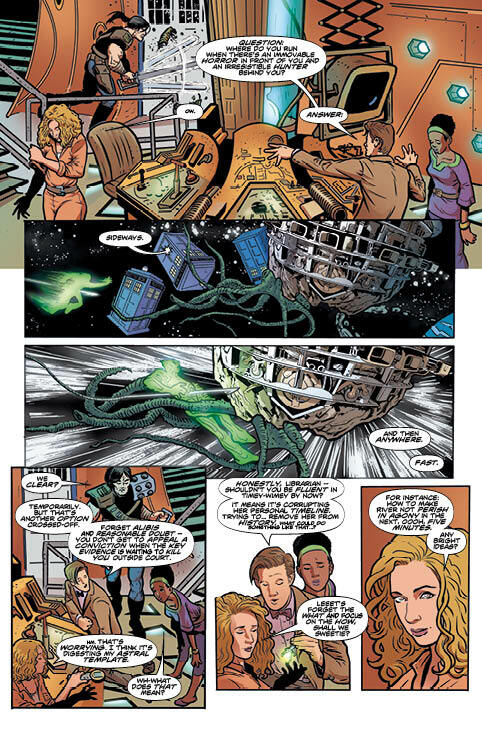 The Fellowship has obtained a first look at DOCTOR WHO: THE ELEVENTH DOCTOR #9 from Titan Comics. 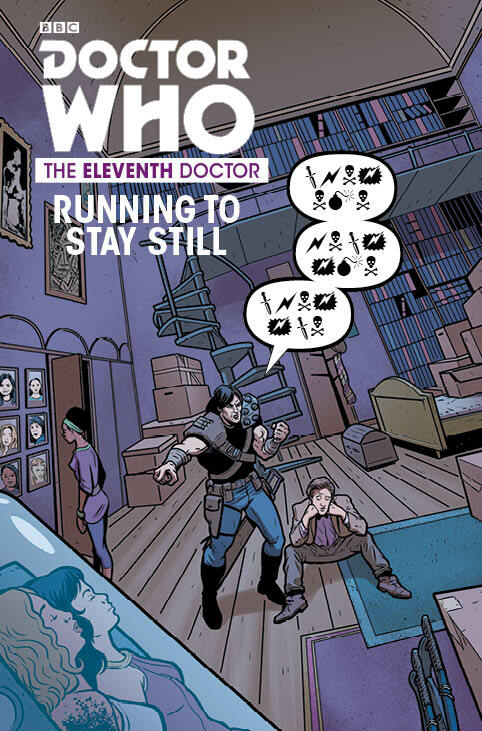 The issue, which hits stores May 18th, is written by Si Spurrier & Rob Williams with art by Warren Pleece, colors by Hi-Fi, and letters by Comicraft. 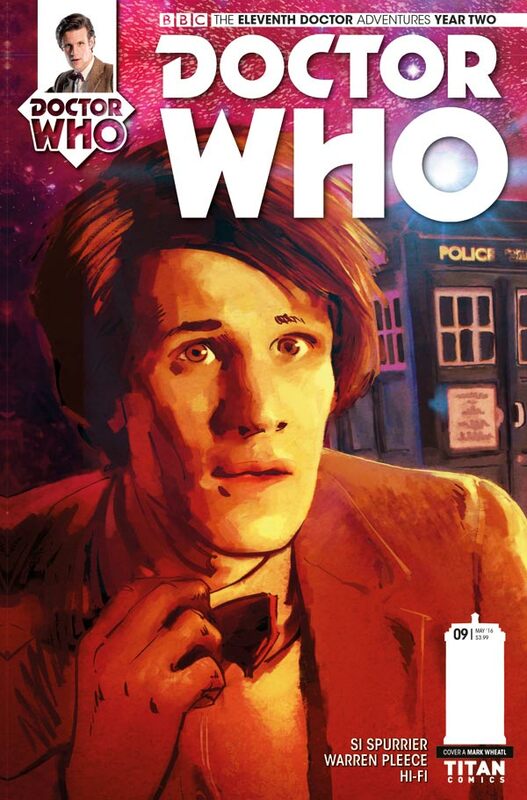 The cover is by Mark Wheatley, with a Photo Subscription cover by Will Brooks, and a variant by Eleonora Carlini.